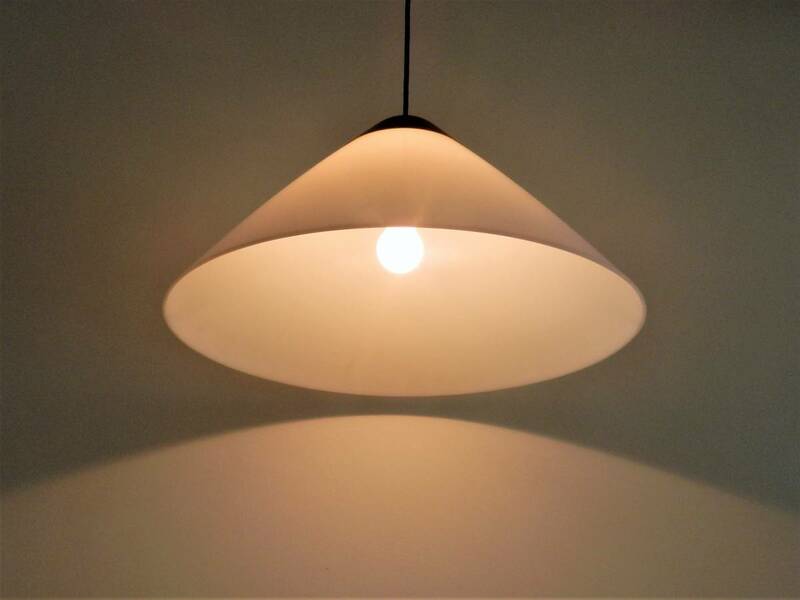 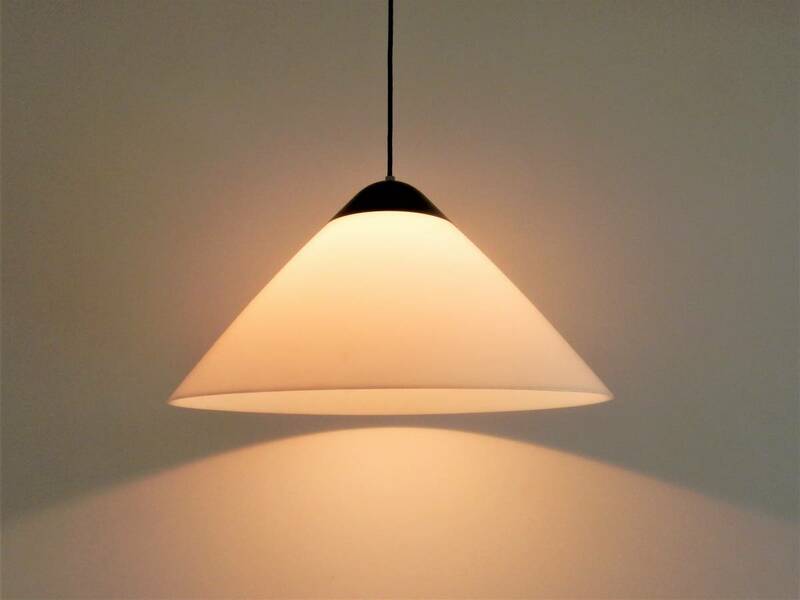 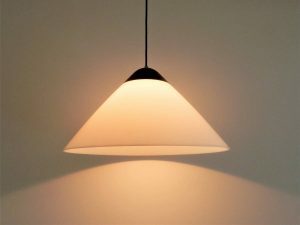 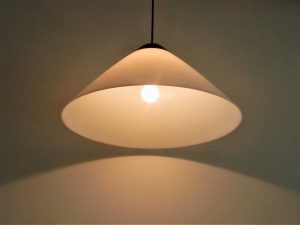 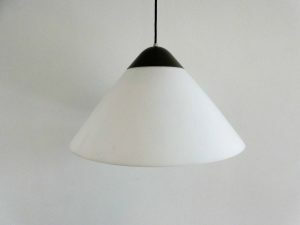 This Opala pendant lamp was designed in 1978 by Hans J. Wegner for Louis Poulsen. 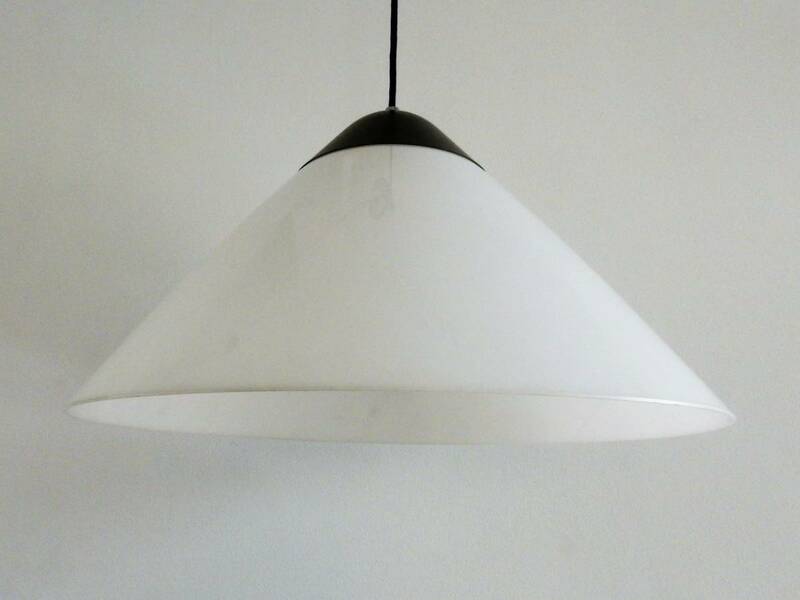 The Opala serie was originally designed for Hotel Scandinavia in Copenhagen in three versions (pendant, floor and table version). The lamp has a white opal high gloss acrylic shade and it is marked under the aluminum top. 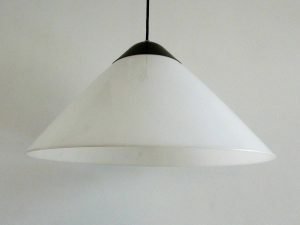 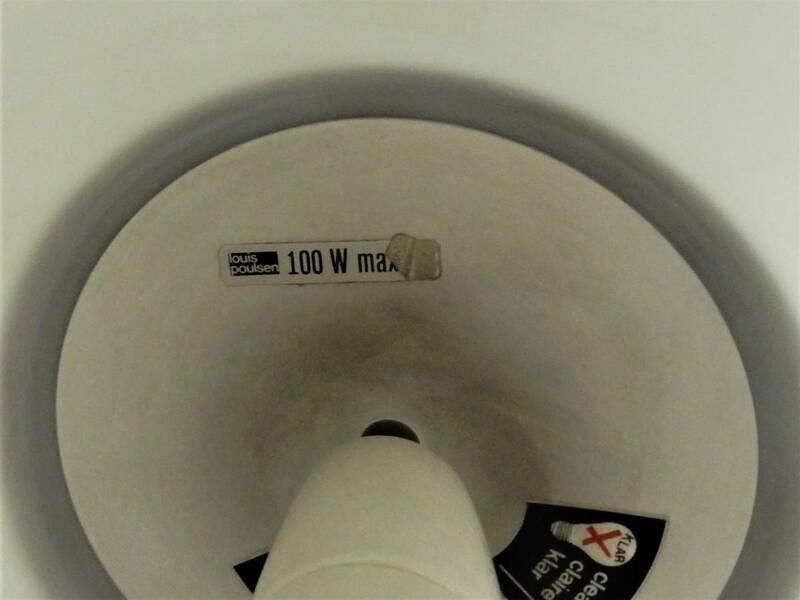 It is in a very good condition with minor signs of age and use. 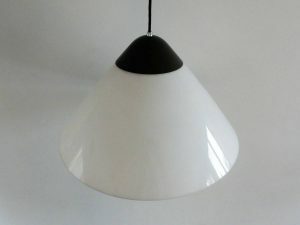 We have 2 of these lamps available.